To research the target market segments and liaise with product managers for the purpose of ensuring that the products of the business offers something to each demographic. Collecting data on Local Area and market place and consolidating information into actionable items, reports and analyst. Understanding business objectives and designing surveys to discover prospective customers' preferences. • Compiling and analyzing statistical data using modern and traditional methods to collect it. Working knowledge of data warehousing, modelling and mining. Business Studies/Social science/Economics/ Statistics/Development Studies. 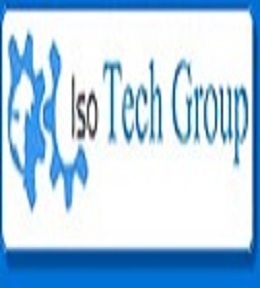 Iso Tech group is being functioned with a keen interest and dedication to preserve the welfare of the communities it serves, as well as its social responsibility to the society.Iso Tech Group has always functioned with a keen interest and dedication to preserve the welfare of the communities it serves.